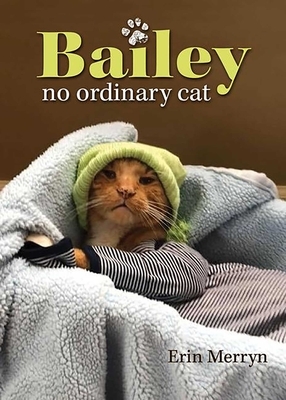 Bailey is a fourteen-year-old tabby cat whose humorous and heartwarming antics skyrocketed him to internet stardom worldwide with his video moments shared by Ellen, CBS News, Good Morning America, and others. No ordinary cat, Bailey enjoys taking bubble baths, snuggling, going for joy rides in toy cars, and accessorizing with the latest fashions including footwear. Erin Merryn is an author, activist, speaker, wife, and mom to young human children and a fur baby named Bailey. She was named Glamour Magazine Woman of the Year in 2012 and a People magazine Hero Among Us for her tireless work promoting Erin's Law nationwide with a mission to our keep children safe by educating them about personal body safety. She is the author of Stolen Innocence, Living for Today, and An Unimaginable Act.